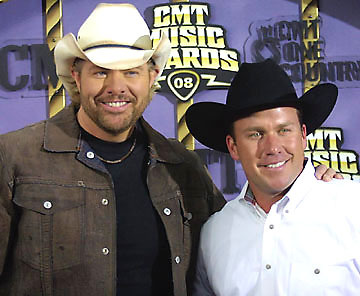 Each year the Country Music Television (CMT) Awards seem to grow by astronomical amounts and the 2008 edition was perhaps at the program's ultimate mainstream-friendly peak. 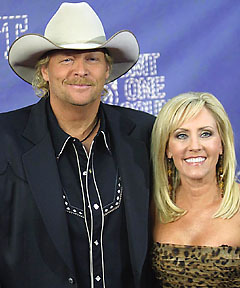 Sure, there were a slew of traditional country stars who laid the ground work for today's more commercially minded masses, but there were plenty of additional artists, actors and celebrity super couples spanning just about every walk of life. But no matter who walked the purple carpet or appeared throughout the course of the gala evening, all eyes were on the award winners, saluting the year's top video clips and their primary performers. Though she was just a humble newcomer last year, Taylor Swift took home the evening's most coveted "Video of the Year" honor for "Our Song," along with "Female Video of the Year" thanks to the same track. 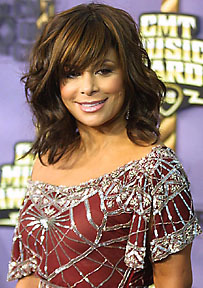 Despite not packing a particularly originally sound, the singer scored high marks with viewers for her sugary sweet singles and undeniably attractive looks, while finding additional fame and fanfare after opening for the legendary George Strait last year. And speaking of living legends, the award for "Wide Open Country Video of the Year" (geared towards the more alternative-minded), was taken home by Led Zeppelin leader Robert Plant and his recent duet partner Alison Krauss for "Gone, Gone, Gone (Done Moved On)." The pair's presence was completely unexpected since they didn't walk the carpet, but both went to the podium to collect the prize with Plant proclaiming "it was an honor making a record that sounds so good here in Nashville." After performing last year, Bon Jovi was back on the bill (though not actually in attendance) to win "Collaborative Video of the Year" alongside LeAnn Rimes for "Till We Ain't Strangers Anymore." 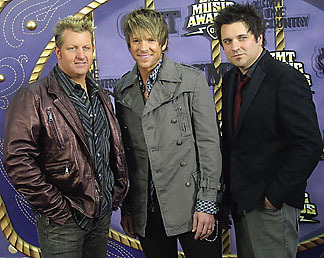 The "Group Video of the Year" also included Bon Jovi on the consideration card, plus Little Big Town, but Rascal Flatts edged out both acts thanks to an unusual double nomination for "Stand" and "Take Me There." 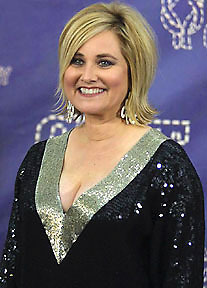 In other key categories, Trace Adkins walked away with "Male Video of the Year" for "I Got My Game On," Sugarland won "Duo of the Year" thanks to the strength of "Stay" and Kellie Pickler pounced on "Breakthrough Video of the Year" via "I Wonder." 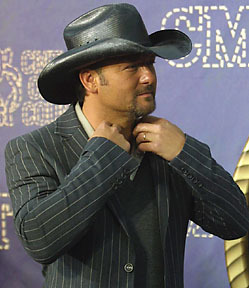 Aside from all the award action, the live broadcast was flanked with a plethora of performances, with a toss up tie for the top spot falling between a Tim McGraw/Faith Hill duet and Alan Jackson with his blistering backing band. The husband/wife duo stripped back all their major productions of the past for a stirring, acoustic rendition of "I Need You," while Jackson and his traditionally-tinged backers rollicked through the title track to his latest record "Good Time." That same rebel-like insurgence ran through Brad Paisley's "I'm Still a Guy," which featured surprise guest Hank Williams Jr. interjecting some true hell-raising honky-tonk. 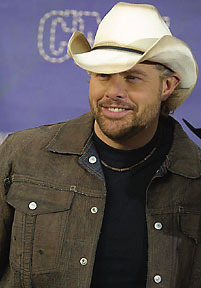 Other prominent (albeit less compelling performances) included Toby Keith, Carrie Underwood and evening co-hosts Billy Ray Cyrus with daughter Miley Cyrus, who turned in their bleeding heart ballad "Ready, Set, Don't Go." 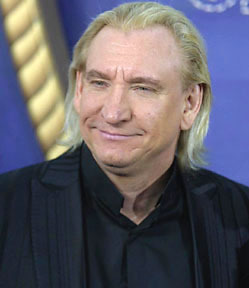 Of course, anyone who's turned on the TV or radio (regardless of the station) is surely familiar with that famous family, not just because of the "Achy Breaky Heart" hero but because of Miley's alter-ego Hannah Montana. Though throngs of appreciators went bananas upon their separate arrivals, her star power was dwarfed by the appearance of Keith Urban and wife Nicole Kidman, especially when the singer put his hand on the actress' belly, presumably indicating a baby's around the corner. 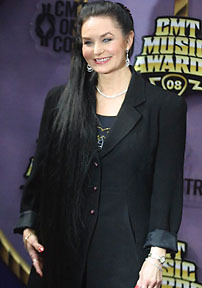 Long-haired classic country leader Crystal Gayle also scored points by singing autographs for a fleet of fans, while Naomi Judd popped up to promote her new CMT reality show "Can You Duet." 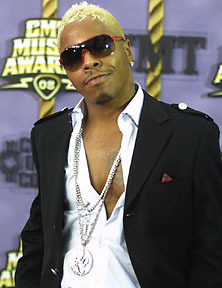 And several other stars outside the immediate country marketplace turned heads as presenters or guest attendees, including various Eagles members, "American Idol" judge Paula Abdul, rapper turned "Gone Country" alum Sisqo, plus television stars such as Tom Arnold and Maureen McCormick (who played Marsha on "The Brady Bunch"). 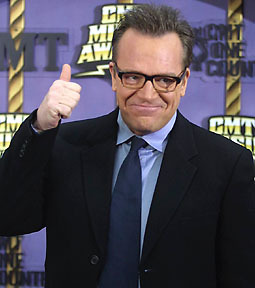 But no matter who showed up or their exact role, it was certainly the network's most ambitious and explosive to date, with tickets selling out in a mere twenty-five seconds, inciting a record breaking television audience likely to be returning for several rounds of re-runs. 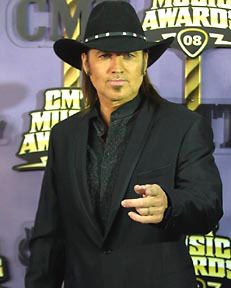 For a complete list of winners and additional information about the CMT Music Awards, log onto www.cmt.com.